Saint Helena Napoleon, where are you? 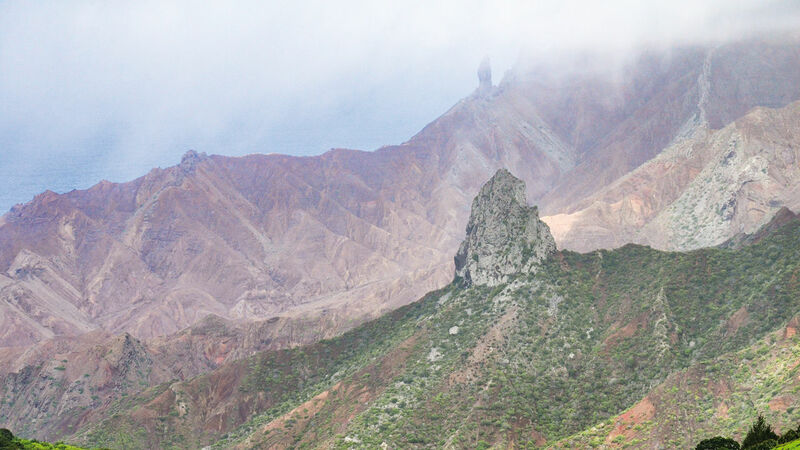 Saint Helena is world famous for being the last home of Napoleon… It’s not to be missed! With landscapes like this, it’s hard to believe that you’re on a rock in the middle of the Atlantic. We arrived at night as we usually do. The faint light from the starry but moonless sky allowed us to make out the dark, high, steep slopes. The huge, flat buoys provided ideal shelter while awaiting daylight. And at daybreak we discovered the silhouette of the infamous Saint Helena. Customs clearance must be done on dry land, and this involves calling the taxi-boat on the VHF. Using the taxi-boat’s savoir faire is the only way to arrive on dry land in one piece. The constant swell rebounds off the shoreline, and we need to hold onto ropes like the Tarzan of our childhood while the boatman tried to get us as close as possible to the concrete seawall. A few hairy moments are guaranteed! We got the formalities done quickly without any problem. Once that was done we set off immediately to explore the magnificent village that is built in to the valley. It’s like another world. The people are calm, smiling and completely at one with themselves. The pretty houses are painted all sorts of colors. 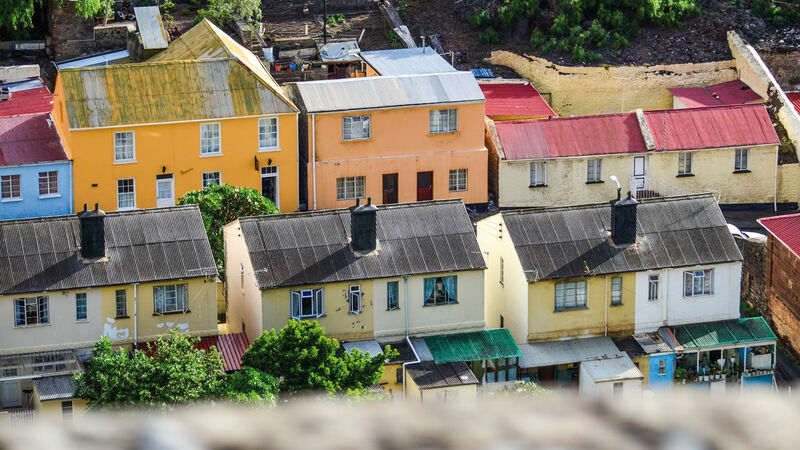 This is Jamestown, the capital of Saint Helena, and its population is just 700. The village is dominated by a never-ending flight of steps dug into the hillside. It is known as Jacob’s ladder. There are exactly 699 steps which must be climbed if you want to reach the top of Ladder Hill. But the climb is worth it for the magnificent view over Jamestown Bay. There are a few cafés, a market, a park and a museum. All rather calm activities, but we feel restored and completely imbued with the ambience of Saint Helena. Of course, when we think of Saint Helena (if you followed your school history lessons) we think of Napoleon. Did you know that there are a few hundred square meters which actually belong to France! Bonaparte lived for the last six years of his life at Longwood House, imprisoned in this little corner of paradise, where he was free to do lots of things despite being a prisoner. At the entrance to Jamestown there are a few taxi-buses which for a few pounds sterling will take you around Saint Helena and show you all the interesting sites. The island is quite simply magnificent. It’s a mixture of high, misty plateaux, luxuriant forests and rocky coastlines.